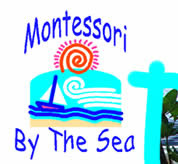 We have been very busy here at Montessori by the Sea. I have made presentations to all of the classes in our school about the plight of the people in the Azawak region. I found it very effective to begin the introduction with a visualization exercise. Each student brought a glass of water to the carpet but did not drink it, heightening their conception of the importance of water and the thirst associat ed with it. I also sent a letter home to the parents with links to the site and I am happy to say that we have the full support of our Montessori community! First, we had a Read-A-Thon. The children in our Lower Elementary class read for a whole morning and were sponsored for every page. In that one morning, the children read almost 1,500 pages and raised 600 Cayman dollars (or 720 U.S.)!! Another girl in our Upper Elementary class was so touched by Amman Imman that she set up a booth for herself at a Cayman Craft Fair, educated passers by and collected donations. She alone managed to raise 50 (60 USD)! I began to make ribbons, much in the shape of the cancer ribbons with a blue ribbon overlapping a brown ribbon. We have called our fundraiser: Turn Brown Water into Blue Campaign. I'm sure there could be a snappier title, :), but it gets the message across! We have made over 200 ribbons and whenever someone donates they are given a ribbon to wear proudly. Finally, at our Christmas concert this past Friday we set up two information tables with posters made by the kids and other handouts. The children manned the tables before and after the performance educating parents, grandparents and friends. They made Christmas decorations which we sold for a donation and I am very proud to say that we raised 700 Cayman dollars (840 US)!! Here at Montessori by the Sea, we feel infused with hope for the future. I think that this campaign is an invaluable tool for teaching students about the world, about generosity, empathy and gratitude, and most important of all, about their ability to change and affect the world in a positive and life-changing way. I am grateful to Ariane for giving us this gift. I know I have been changed by this experience immeasureably :). Please pass along our regards and love to Ariane and people of the Azawak. an article in the Cayman Compass written about Montessori by the Sea's campaign, the plight of the Azawak region, and how other schools and individuals in Cayman can help. 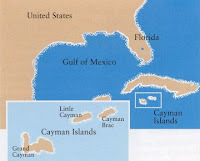 planning to appear on the morning show with some students to further educate Cayman. using washable chalk, we will draw a well on the outside of the school building which will chart our monetary progress, as well as put our children's artistic talents to use! sponsoring a Giant Yard Sale in the new year where students can donate their old toys and clothes etc.